Please note. We will be closed from 14th December 2018 until further notice for refurbishment. Set in 50 acres of formal gardens and grounds, on the edge of the National Forest near Burton on Trent, Hoar Cross Hall is a Grade II listed property, built in the 1860’s by Sir Hugo Meynell Ingram as a home for his family. 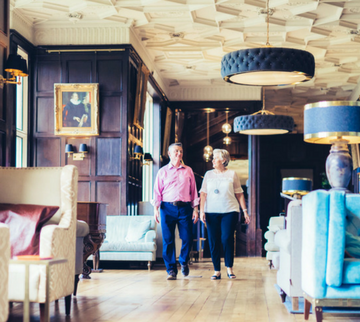 The hotel is renowned for comfort and tranquility, with a style that effortlessly blends a modern feel with the grandeur of the old hall. Its spa boasts a dazzling array of facilities. 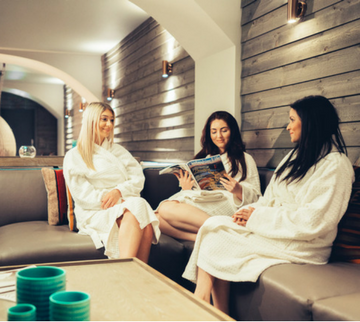 The hotel offers a range of spa breaks and spa days and is a much-loved location for weddings and business meetings. It welcomes visitors to its formal restaurant, the Ballroom, as well as the more casual atmosphere found in its Huxleys cafe.